Discovering the cause of a truck accident can be complicated, but it is a necessary step to obtain compensation. Truck or semi truck accidents are complicated events. Reaching an official determination about what went wrong in an accident can take weeks of investigation. And even then, it may still be possible to debate if what went wrong (like the brakes that failed or a driver who did not see an obstacle) was really someone’s fault. A truck accident lawyer may have to hire your own accident re-constructionist in order to solve it. Organizations such as the Federal Motor Carrier Safety Administration (FMCSA) and the National Highway Traffic Safety Administration (NHSTA) still have a greater challenge when trying to order all of these complexes data on the thousands of serious truck accidents that take place every year in order to identify trends and recommend regulatory improvements to prevent future accidents. According to the Study of leading causes of truck accidents, these are the 3 main causes of accidents caused by trucks. 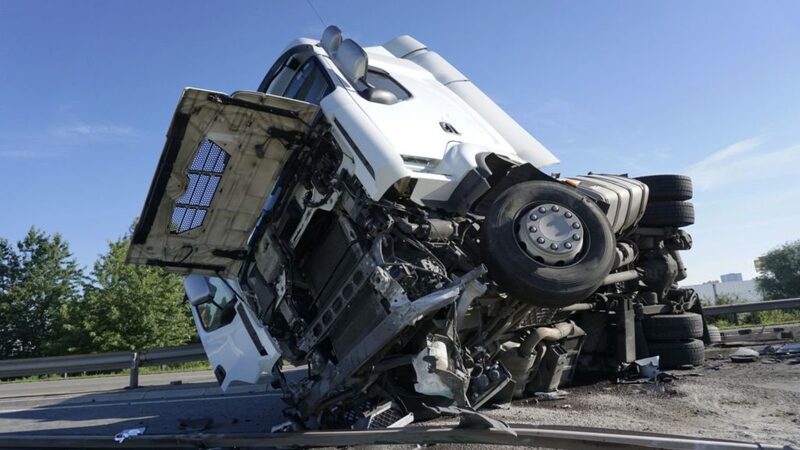 It was found that problems with the mechanical components of trucks are a “critical cause” of accidents in only 10 percent of the cases studied. In these accidents, a failure or malfunction of the brakes or tires was the most common problem. Safety infractions are another possible cause of serious truck accidents responsible for a small percentage of accidents. Safety infractions could include any type of infractions of the policies put in place to regulate the transportation industry, such as driving in a state of fatigue, drunk driving, over speeding, excessive hours of service, undue burden or failure to perform of pre-trip inspections. The vast majority of truck accidents are caused by a simple driver error. Although most truckers tend to be very safe drivers – after all, their livelihood depends on their driving skills. However, the large number of hours spent behind the wheel can increase the risk of an accident. The most common drivers’ mistakes include going too fast for road conditions, taking the eyes off the road, doing maneuvers not allowed or not keeping the safety distance. Next Will any driver van insurance offer protection against driverless car hackers?